Square and fair cashmere stole from Nepal. 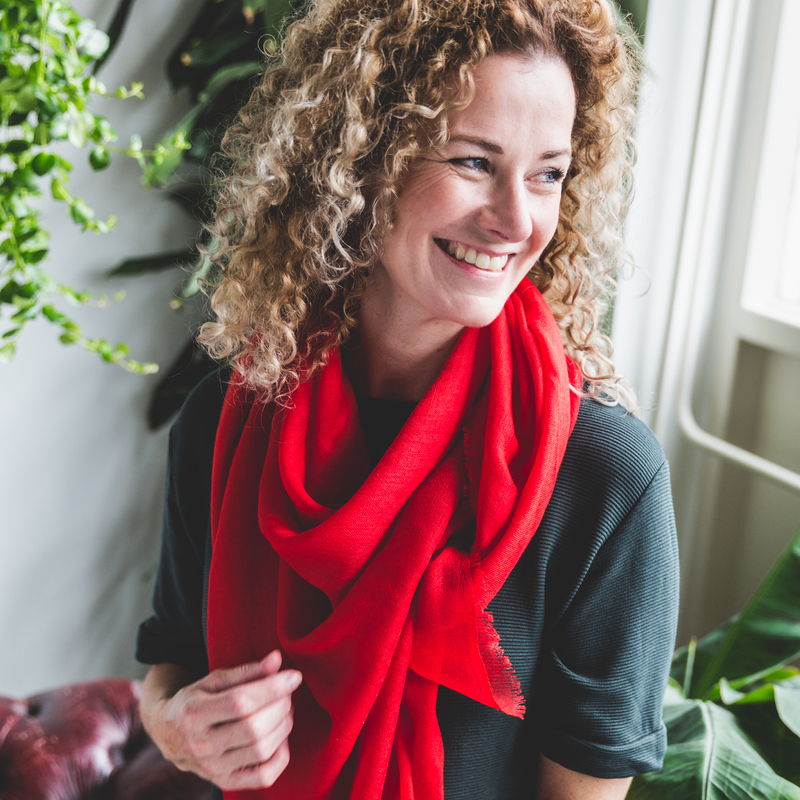 Gorgeous, versatile red lighweight cashmere stole from Nepal. 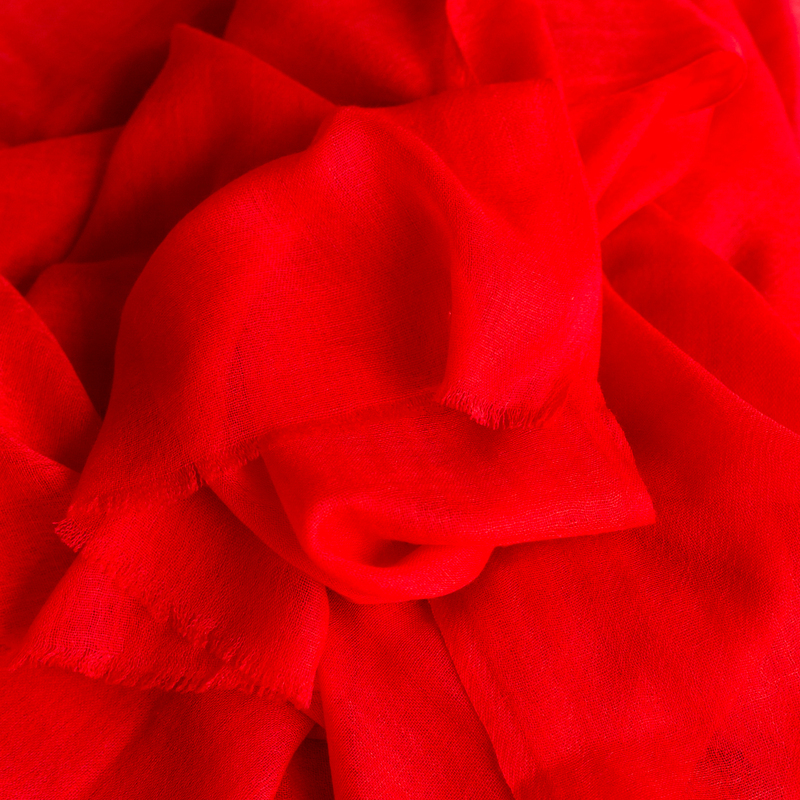 This comfortably large square stole has been made from the softest quality A-grade cashmere. Wear this extraordinary cashmere piece as a pashmina or fold it into a triangle for a fierce, yet feminine look. The stole was handcrafted by artisans from Mahila Utthan Pashmina Udhyog, a Fairtrade weaving group in Kathmandu..